WMSPanel team continuously improves the representation of users-related data which is being collected by our system. One of the most descriptive reports about connected users is their geo-location. Previously we've had only a real-time geo location data being displayed on the top of the dashboard. It included top 20 countries' flags, names and number of connections available since last sync-up. Now we're glad to announce an advanced functionality for reporting geo-location statistics. We call it Geo Stats and it's available for each of the existing data slice as a separate subscription option. 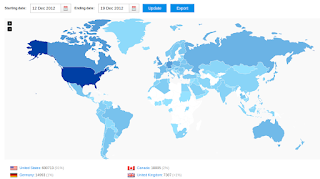 Once you get on Geo Stats page, you can see a map of the world and a list of all countries and cities where your users were from during chosen period of time. It's a week by default. Map has countries which are colored proportionally to the percent of the countries' audience. World map with countries with proportional coloring. In the list of countries each one has a flag, a name, a number of connections and a percent of share among other locations. 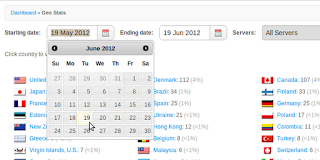 You can choose any dates range to display. Data is stored and displayed according to GMT zone. Any country name is a link which opens an extended information about cities where your visitors were from. Each city has a name, a number of connections and a percent of share among other cities of a given country. Selecting a country by clicking on it. It goes left to right and fits any screen width. 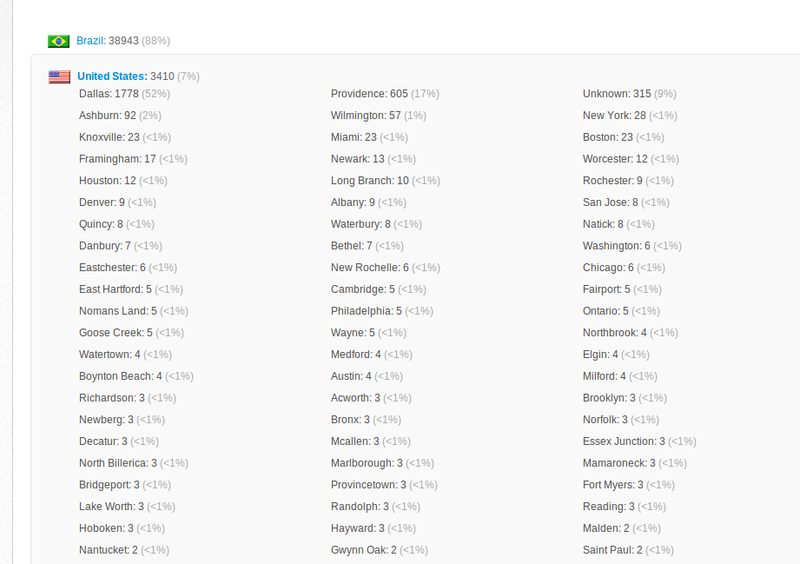 Each city has a percent share among all cities. 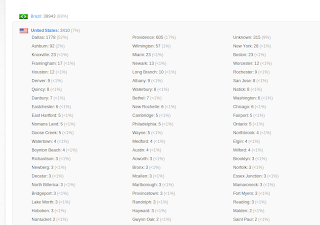 Cities list fits any screen. 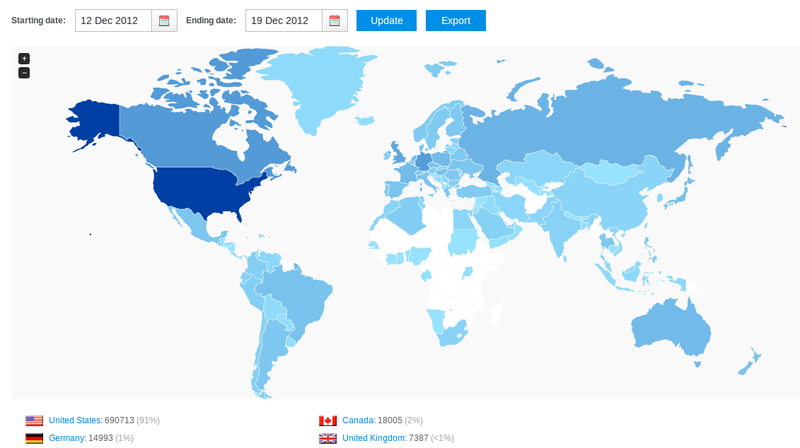 WMSPanel Geo Stats report is an easy way to see where your viewers are from and what is your target audience in general. This report is provided as part of additional daily stats package which also includes ISP networks report. It's available via monthly subscription separately from data slices payments. 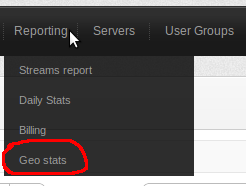 Try our statistics panel today and check your geo stats. Two-weeks trial period is free of charge and does not require any credit card or other payment information. Contact us in case of any questions. Geo report is also available for Nimble Streamer, the light-weight HTTP streaming server for HLS, Smooth and progressive download. WMSPanel is an official GUI for Nimble Streamer.